Over the last few months I've been testing out the Rose Gold Shaviour from Friction Free Shaving. I was lucky enough to attend their Birmingham cocktail making event and got to know the team and the products and was very excited to try the razor asap! Friction Free Shaving was born and bread in Cannock, not far from Birmingham. The premise behind the brand is to make shaving easy and effective. 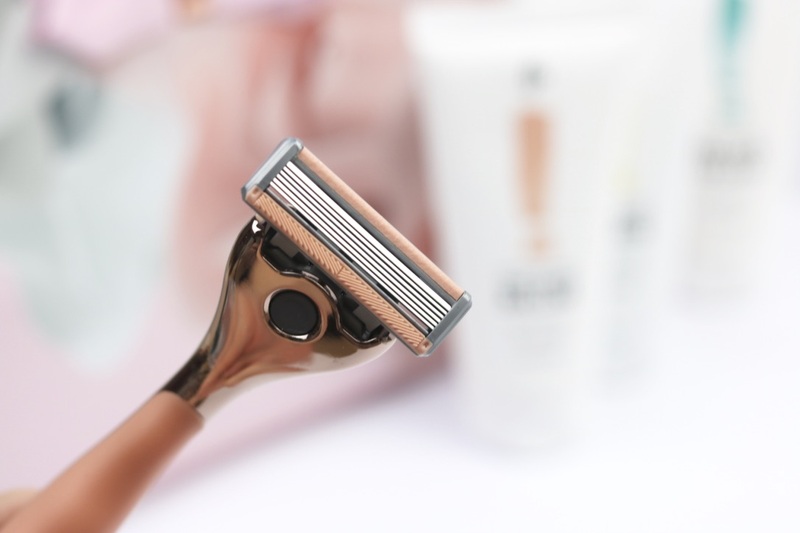 The subscription element of the product ensures that you never have to go months with rusty razors because you're constantly forgetting to buy new razor heads. I was generously gifted a Rose Shaviour Gift Set, which can be bought for £32. This comes with 4 blade heads, the razor handle, exfoliator, shaving cream, post shave lotion and a little holder for the razor. Considering how much that would cost to buy each product individually, I think £32 is a pretty good price for all of that. Although I'm supposed to change the razor head every week, I've been using the same once since January and there are no signs of rusting! 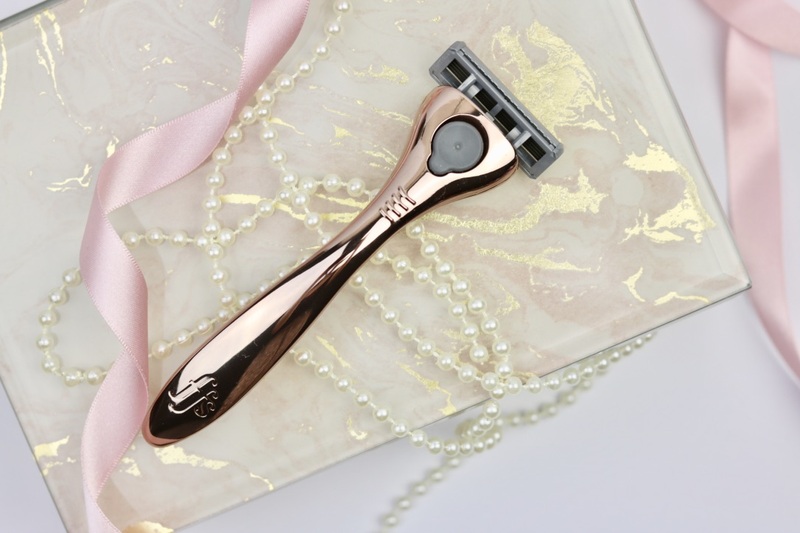 You can buy the razor handle separately and subscribe for £9 for the Rose Shaviour and 4 blades (which also comes in an equally pretty silver colour - Silvia) or there is the Frankie for £5 a month. You can engrave your Shaviour with your name, a nice touch, and then chose your add-on product (either the exfoliator, shaving cream or post shave lotion) for an extra £6. The blades are then £9 per month for the Rose and Silvia or £5 for the Frankie, and an additional £6 for the add-on products which can be swapped if you so wish. Although a generally hairy gal, I shave my body max once a week, so getting new razor blades every month once a month would be a bit much for me. Thankfully, you can be very flexible with your orders and pause the subscription whenever you want! I absolutely love my Rose Shaviour. I love the metal handle, which makes for a much more pleasant shaving experience. The metal doesn't rust or go grimy like your average razor and my blades haven't gone rusty as of yet! 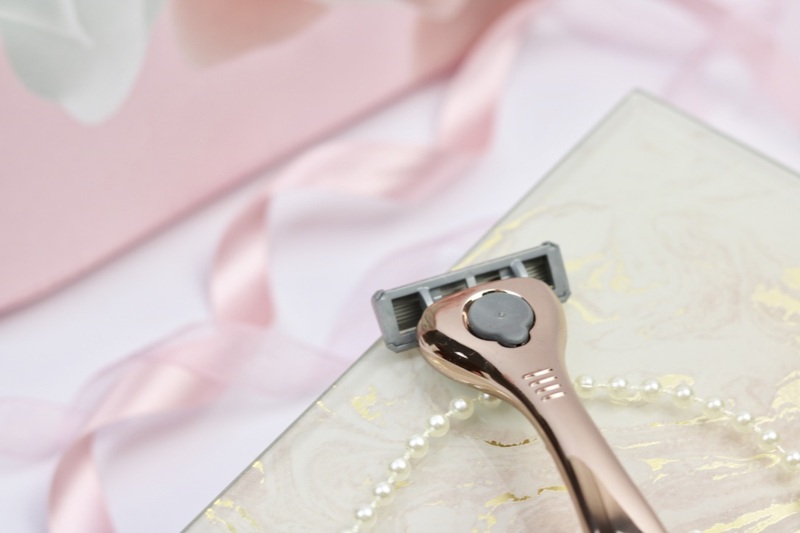 The quality definitely surpasses your average high-street razor, whether that be your disposables or the ones with replaceable blades. 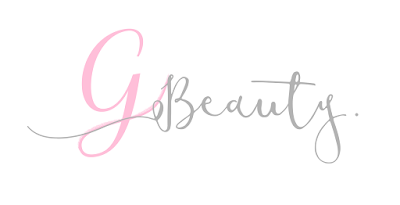 The colour is obviously very beautiful and definitely fits in with the blog's aesthetic! The razor itself works like a dream, especially with the shave cream. There are no FFS moments with the Shaviours, as they don't cut you! I have had zero cuts, even on the back of my ankles, and I have had many of those over the years. The 6 blades have a vitamin E strip to help with the smooth sailing shaving experience. You can use your Shaviour on all parts of your body. The Pre Shave Scrub is lush. It comes out quite thick and sort of foams up? Hard to explain but extremely satisfying to use. It smells amazeballs, a really nice light fresh honey smell with a hint of coconut. Essentially smells like holiday. It's gentle on the skin and the beads wash off easily, leaving your skin feeling soft before the main event. Next comes the Shave Cream. This is essentially a moisturising type of cream and it is definitely the best shaving product I've ever used. Every other shaving cream I've ever used is horrid and I've just been using shampoo or conditioner to shave my body for the last however many years of my life. A little goes a long way with the shaving cream. It's super moisturising and the hair comes off like a breeze with it. I have to admit, I'm a little bit useless at using the post shave balm but when I do, my leggos are very soft. The balm's texture is what you expect and has the same smell as the shaving cream and scrub. It goes on nicely and it sinks into the skin quickly so you're not flapping about unable to put on clothes afterwards. All in all, I absolutely love my Shaviour. The handle is a dream and the products are definitely the best shaving products I've used before. If you're someone who wants to take better care of your skin and shave regularly, I couldn't recommend this product enough. The gift set is definitely a great present for a loved one and is definitely worth the money you pay for it. 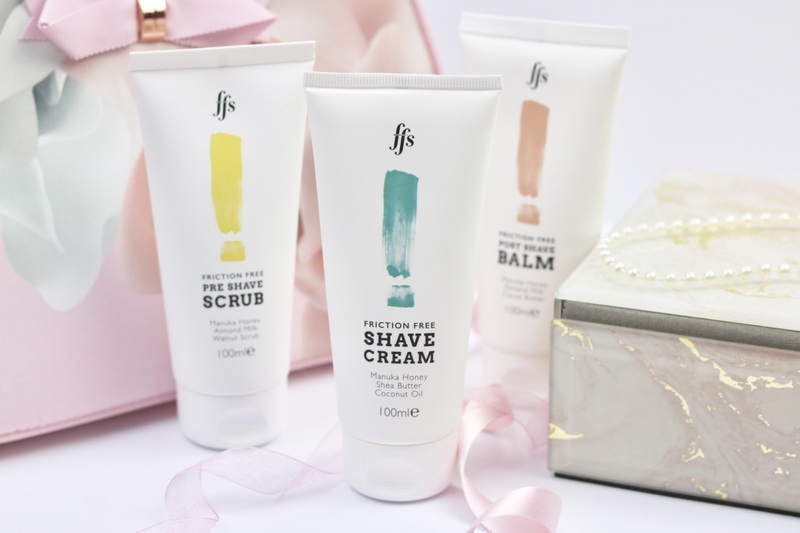 Have you ever used Friction Free Shaving? What are your favourite shaving products?